What is a good life for dogs? I received my copy of Ted Kerasote’s Pukka’s Promise: The Quest for Longer-Lived Dogs a few weeks ago. It’s taken me quite some time to read it, largely because every two or three pages I have to stop and think– or just marvel at the prose. 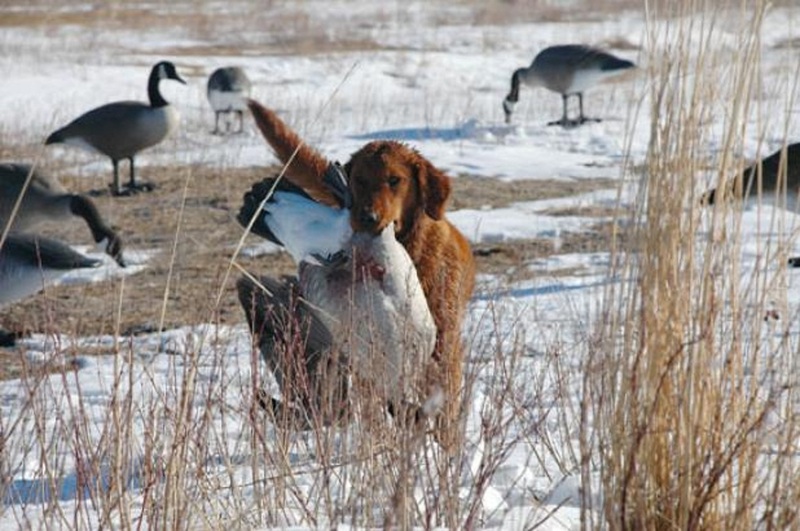 Ted Kerasote knows how to write about retriever dogs. I know of no other author who can capture the essence of Labrador and golden retrievers in quite the same way he can. The power of Merle’s Door, his previous book about his beloved Labrador cross, largely came from this skill at capturing the essence of these animals. They are very rugged, very natural looking animals. 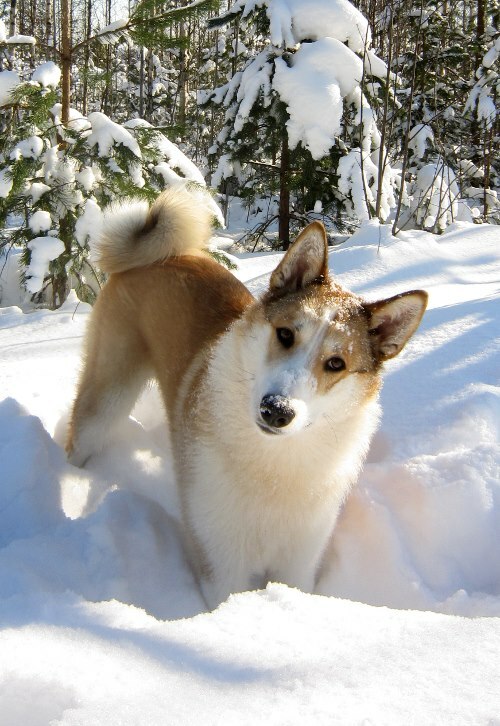 They behave and move as if they have not one ounce of artifice about them, but they are also among the friendliest and most tractable dogs mankind has produced. Capturing these dogs in prose is quite task, one at which I fail on a regular basis. The book is centered around the arrival of Pukka, a yellow Labrador from a breeder in Minnesota, and his maturation into a strong flusher and retriever of ruffed grouse, pheasants, and chukars (Pakistani red-legged partridges, very closely related to French partridges). But the book’s central question is one of the most complex issues ever examined in a dog book. I don’t know of anyone else has ever tried to answer this question. Why is it that dogs don’t live very long? Kerasote takes on this question from every possible angle. But at nearly every chapter he winds up hitting a barrier. It turns out that there aren’t any good studies with large n’s that are examining whether dogs live longer on raw or commercially prepared diets or whether spaying and neutering are actually that beneficial to the dog. There is also a very good chapter on the No Kill Movement, which I’m sure regular readers of this blog will enjoy. This book asks so many questions and examines so many different aspects of dog health that a single blog post really can’t do it justice. In addition to the central question, there are very good pieces on the morality of using e-collars or whether one should adopt a dog or get it from a breeder. We’re breeding dogs very stupidly. We’ve destroyed their gene pools by allowing closed registries and popular sire cults to dominate how we evaluate breeding stock. We’ve allowed caprices of fashion to dictate which dogs get bred, for one thing we’ve found out is that dog genetic material is very easily manipulated to produce bizarre shapes. It’s probably one reason why the dog family has been so successful over the past 40 million years. But in the hands of the dog sculptors, we’ve begun to push them to their limit. Kerasote captures all of this in the book in devastating detail. The best dog literature makes you fall in love with the canine characters. And Kerasote does this very well. But in his perusal of the different reasons why dogs die young, you will be made to stop and think for a bit. I had not considered that phthalates were so common in dog toys. I thought they had been regulated in the same way that children’s toys had been. And it’s quite a discomforting reality to know that we’re exposing dogs to levels of carcinogens that we would never allow our children to experience. And the only way to solve that issue is through regulation. Dogs didn’t evolve to become Methuselahs. Kerasote makes this very clear. 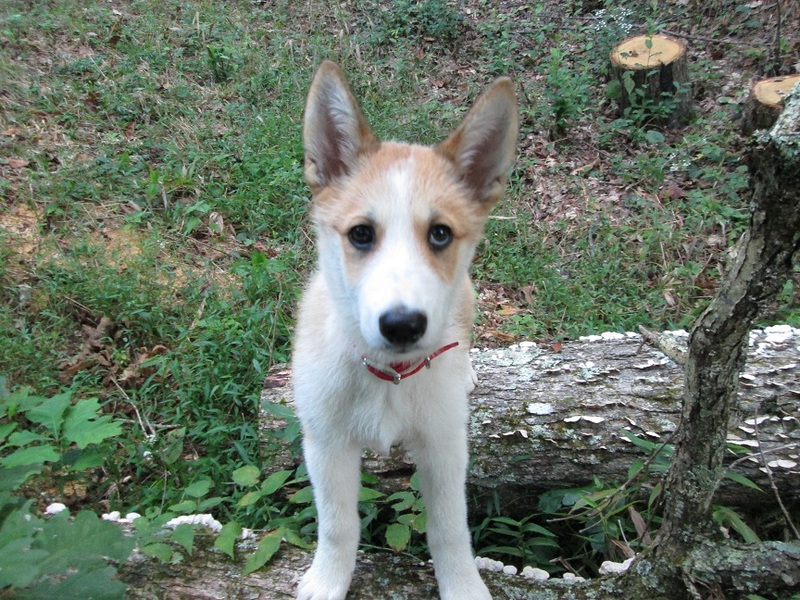 Dogs evolved from wolves, which are meant to have very short lives and rapid reproductive rates. Their basic biology is to live short lives and have lots of babies. It does not matter that both dogs are wolves are higher mammals, which have complex social lives and corresponding higher intelligence. They evolved living hard and fast. Genes only get passed onto those individuals who mature rapidly and have lots of offspring. Animals that have that reproductive strategy tend to have shorter lifespans. And although Kerasote entertains the idea of us selectively breeding dogs to live to be 50 or 80 years old, such an undertaking would take anywhere from 400 to one thousand years of dedicated selection. And a lot of that selection would have to override the other things we breed for. In the end, there are many ways to have longer-lived dogs. But the idea that is most clearly understood now is to have better breeding practices. We may not have dogs that live into their 80’s, but we might be able to breed golden retrievers in such a way that lifespans of 17 or 18 are more common in the breed. I think that’s a very reasonable place to start. The best take down creationist crypto crapola ever! The origins of the fire-breathing dragon myth. There actually is a unicorn! But a fox actually did try to take a baby in London a few weeks ago. London mayor Boris Johnson, who can be a touch hyperbolic at times, has declared foxes a “menace. The problem is that people in London are feeding foxes, and these foxes are losing their fear of people. I don’t know why anyone would feed foxes. They eat pretty well on their own, and what’s more, they carry mange, and in my country, are a vector for rabies. So please don’t feed the foxes. They might not eat your babies, but they are wild animals that should always have a healthy fear of people. In my part of the world, no one in their right mind would feed a fox. But urban dwellers have romantic ideas about them and seeing as the UK is devoid of large predators and the red fox is the only wild dog most Briton are ever going to see, they have very bizarre ideas of what these animals are. In North America, we have people who are called wolfaboos, who swear that wolves can do no wrong. And some of this fox fascination in the UK is just an ersatz wolfabooism. Having red foxes in very high numbers is actually pretty unusual for ecosystems. The only reason why there are so many of them in parts of North America and Europe is because of mesopredator release. The wolves and other large predators that would control fox numbers have been killed off, and now their numbers are much higher than they normally would be. Wolves usually don’t kill small mammals and birds, but red foxes do. And when red fox numbers are high, there is increased pressure on small mammals and birds. The wolves were actually their watch dogs. They kept fox numbers in check. And now if you feed the foxes, all you really are doing is feeding the mesopredator release monster. It’s the same as the TNR nonsense with feral cats. And that is why we must control fox and feral cat numbers. Photo courtesy of Nara U. 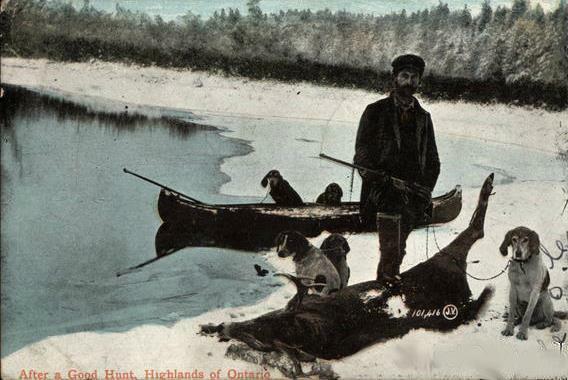 Using dogs to hunt deer has always been very contentious in North America. In the United States, the only states that currently allow the practice are in the old Confederacy. And not all areas of those states allow it. In North Carolina, for example, deer hounds are allowed in certain counties in the eastern part of the state, but it is both highly illegal and frowned upon in the western part of the state. The same goes for Virginia. I believe the only Canadian province that still allows deer hunting with dogs is Ontario, though I stand to be corrected if I am wrong. Using dogs to hunt deer was the most effective way to wipe them out, especially if the deer were running in heavy snow, which explains why it was frowned upon in the northern states and celebrated in the South. The dogs that were used to hunt deer were sort of proto-coonhounds, beagles, and foxhounds. These were the same sort of dogs that were used as “staghounds” and “buckhounds” in England. Yes. This is the same puppy I sent to Canada! Pavel’s spend most of the winter in Finland, but he’s going back to Canada next week.